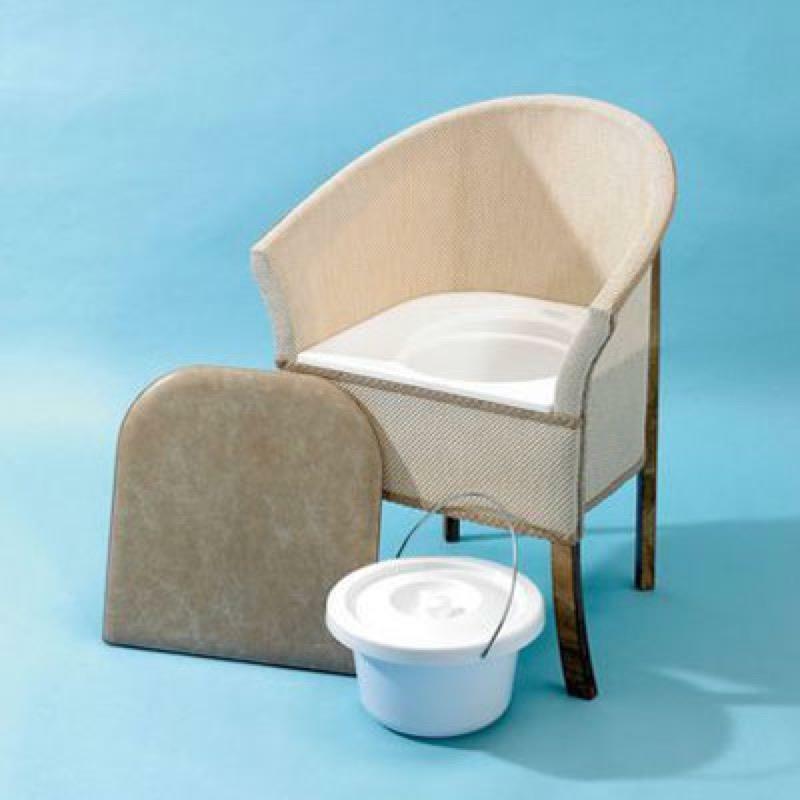 This bedroom commode chair intergrates subtly into virtually any home décor. The wipe clean weave is flexible and forgiving, giving ample support and comfort. Can act as a chair when not in use. This bedroom commode chair intergrates subtly into virtually any home décor. The wipe clean weave is flexible and forgiving, giving ample support and comfort. Has a vinyl covered seat, acting as a comfortable chair when not in use. The plastic seat ergonomically shaped for comfort. Seat height 18.5" Seat width 17.5" Width at top 20.75 Total height 30.75".